Let me start by saying that I am pretty disappointed that I did not get a chance to see this in a theater. That is not to say that it is a classic, but deserved more of a shot than it was given. The Midnight Meat Train was supposed to hit theaters nationwide way back in 2008. The problem is that, for whatever reason, the new head of Lionsgate did not like it, pulled it from the schedule and released to roughly 100 budget theaters. On top of that, they never told anyone what theaters they were, so if you wanted to see it, good luck finding it. Honestly, it should have gotten a push, it is certainly better than a lot of what passes for wide-release horror these days. The movie was directed by Ryuhei Kitamura and it was his first English-language feature. He is a stylish director who first came to my attention with the samurai/horror film Versus, as well as films like Azumi, Aragami, Sky High, and until Shin Godzilla, the last Godzilla film, Godzilla: Final Wars. The screenplay was written by Jeff Buhler, it was his first screenplay, he is also credited with penning the forthcoming Jacob’s Ladder remake. The film is an adaptation of a short story by Clive Barker. The movie certainly shows its roots as it feels a bit stretched out to get past the 90 minute mark and the final act is a bit muddled and nonsensical. Actually, I would not be against seeing someone take another stab at adapting this material. Bradley Cooper stars as Leon in one of his first starring roles and certainly before The Hangover made him a household name. 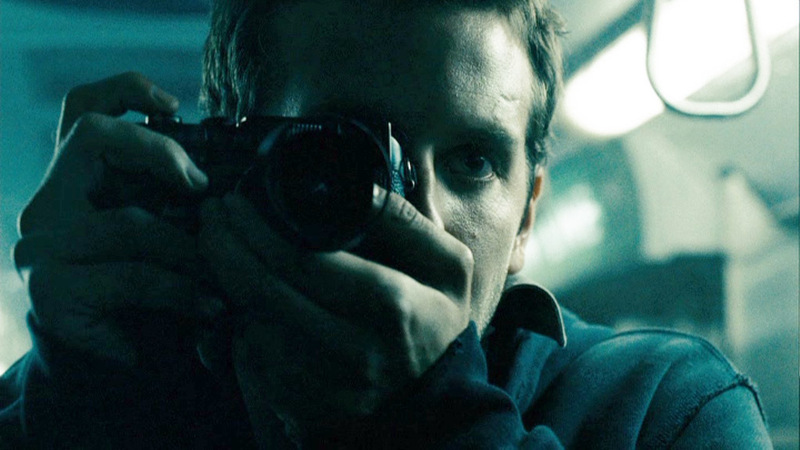 Leon is trying to get into the photography game while living with his waitress girlfriend (Leslie Bibb). A friend arranges a meeting with a high powered art dealer (Brooke Shields), but that does not go well as she flat out tells Leon his work needs work. So, a dejected Leon takes to the night streets to see what he can find. Leon follows some thugs into a subway entrance and catch them harassing a young woman. He steps in (after taking a few key pictures) and the thugs take off. The young woman thanks him and rushes down to the subway that is about to leave. The next morning he discovers that the woman he helped has disappeared. When the police fail to listen to him, Leon heads back to the subway. This is where he discovers a silent, well dressed man, who we learn is named Mahogany (Vinnie Jones). This is where the story gets interesting, then dragging, then convoluted. In that order. This being a horror movie, there is no shortage of blood. We get to see Mahogany do what he does a number of times. He likes to take the late train home, and when there is only one other passenger on board, he pounds their face in with a gigantic meat tenderizer. He then strips and butchers the body, hanging it on a meat hook until the train arrives at the end of the line where he unloads the meat. They never say body or victim or anything like that, it is always unloading the meat. 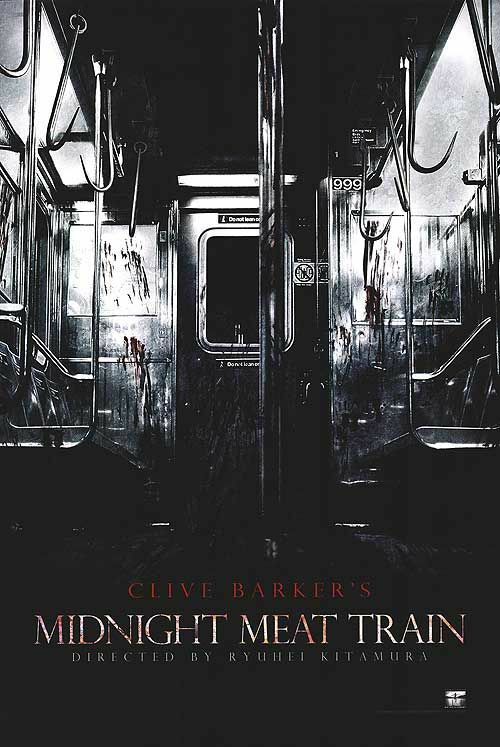 The Midnight Meat Train is pretty gruesome, although the CG blood splatter does get a little distracting at times. Anyway, we follow Leon as he becomes more and more obsessed with Mahogany and what is happening, investigating a number of missing persons cases that seem to be linked. The problem is that his obsession is having an affect on his mental state and his girlfriend, becoming concerned, begins to look into the cases as well. Everything comes together in a twist type ending that you will see coming but not really understand why. I really enjoyed the movie, I may not get exactly what happened at the end although there are definite clues pointing towards whatever is going on in the subway is more than just a one or two person operation. Clues point towards a cult is at work, although who they are or what they want or anything is left in the dark (a little like the cult in The Void). The performances are pretty good, although Cooper’s character wasn’t exactly likable and does some stupid things, I get him. Leslie Bibb was fine, despite not having much to really do. I liked the oddity of seeing Brooke Shields in the movie. 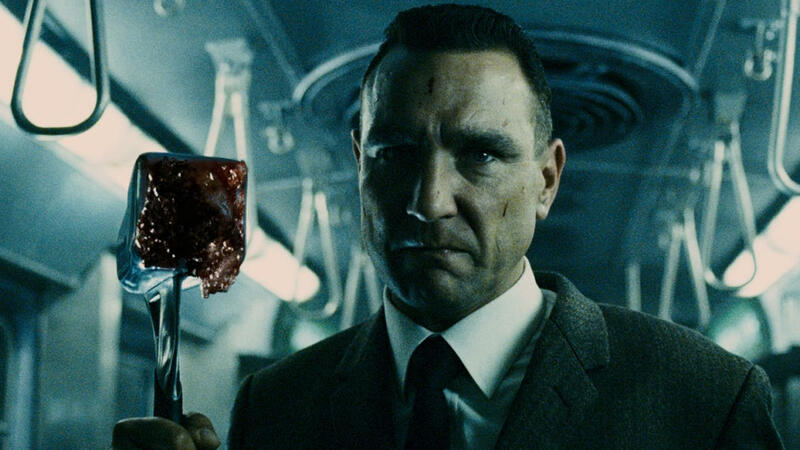 The stand out has to be Vinnie Jones, all silent menace. The man is just a terrifying screen presence and there was absolutely no shortage of menace on his part. 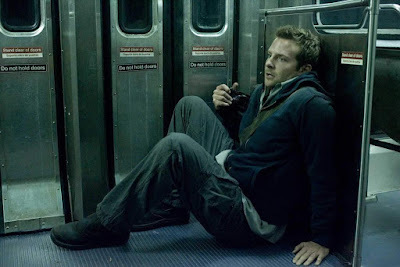 The Midnight Meat Train is a solid horror film that has mystery, has blood, has brutality, and certainly has worth. It is not perfect and probably could have used another rewrite or two, at least to clarify the final act. It has some style and is easy to watch. 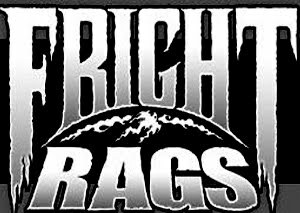 I feel it is an underrated horror experience that deserves a little more attention.